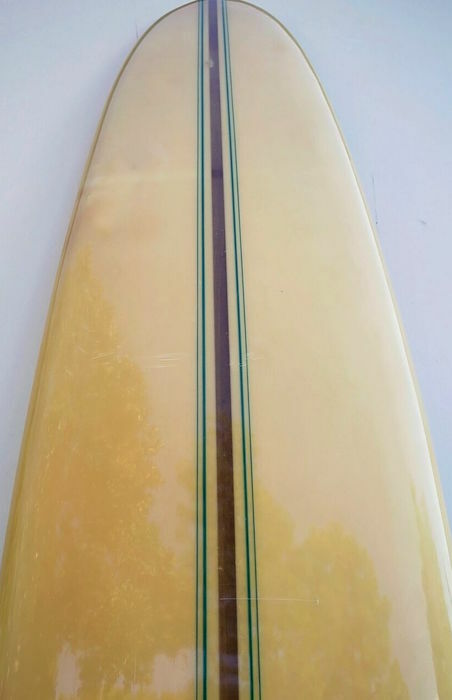 10′ Wardy “Big Gun” longboard shaped in the 1960’s. 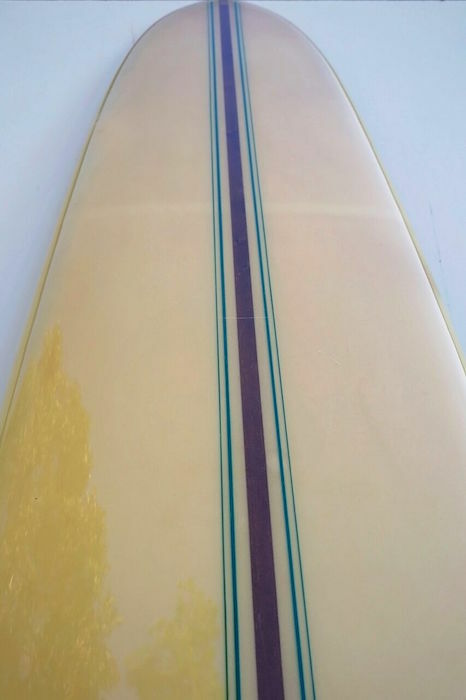 This board was built for speed with a narrow-pointed nose and little rocker including Wardy Translucent blue “D” fin. In excellent condition and completely original. Fred Wardy, California native who grew up surfing breaks along the Malibu coastline. Wardy eventually became a renowned shaper in the Malibu area. 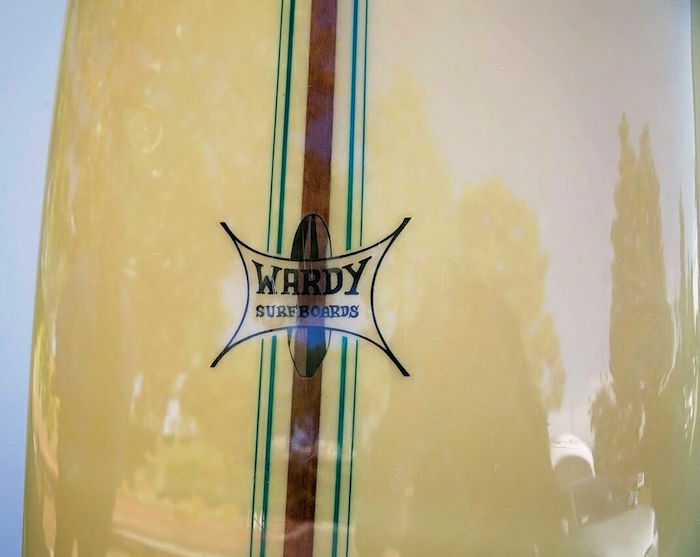 One day when talking to his friend John Severson, patriarch of modern surf media and Founder of SURFER magazine about the receptiveness of his surf films in Pasadena, California Wardy decided to open up a surfboard factory in the area. A move which turned out to be a great success. Wardy was known to enjoy surfing purely as a sport rather than the prevalent thought of the time naming surfing as a way of life. 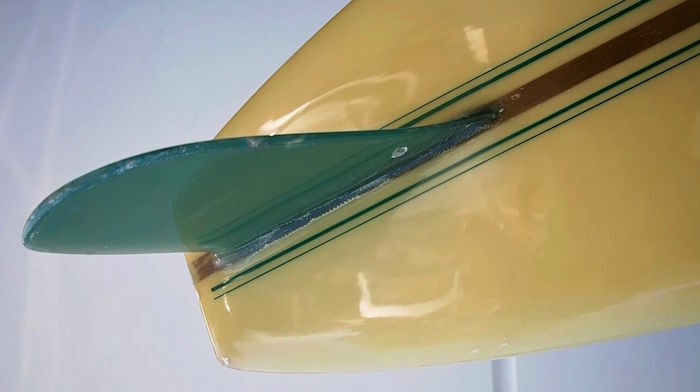 While Wardy stopped shaping surfboards in 1979, his work lives on to this day being appreciated in various museums and private collections around the world.